When businesses grow beyond a single location or require physical sites in multiple places, it becomes more important than ever to maintain a single ‘look and feel’ for their customers who contact them by phone. Maintaining standard communication practices for staff across multiple geographies also tops the list of crucial to-dos. 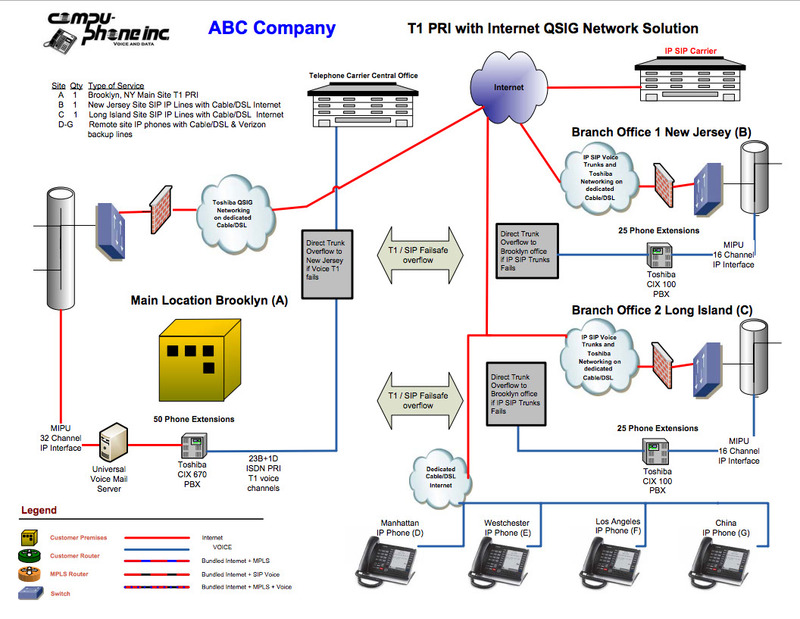 Add to that the need to control communication costs, and the case is strong for an IP-PBX with Voice over IP solution. Voice over Internet Protocol is the ability to pass telephone voice over Local Area Networks, Wide Area Networks and the Internet. VoIP offers reduced costs for installation and maintenance of phone equipment. It also enables you to seamlessly provide telephone coverage to remote locations and home offices at a fraction of the cost of provisioning dedicated lines or tie lines. In addition, VoIP providers and private networks offer opportunities to reduce communication costs by consolidating phone lines and bypassing tolls. Compu-Phone offers advanced VoIP solutions in collaboration with sister company CompuVoIP. Our VoIP solutions unlock the hidden potential in your communication system, helping your people and your business work more responsively, productively and profitably. By using powerful technologies that can scale along with your business, we unite your multiple locations with a single point of administration and provide graphical user interfaces that allow the storage and forwarding of voicemails, faxes, emails and corporate-only instant messaging across the larger organization. What will an IP-PBX do for your multi-site business? How will an IP-PBX enhance employee productivity? VoIP allows calls to be transferred, conferenced, picked or parked across locations as well. With a glance at their desktop PC, workers in any part of the organization can see a colleague's status, be it "available", "do not disturb", "in a meeting'", "out of the office", "on vacation" or in another custom state. These "personal status" settings also govern greetings, prompts and call routing, so employees can direct calls to land where they want whenever they're available.